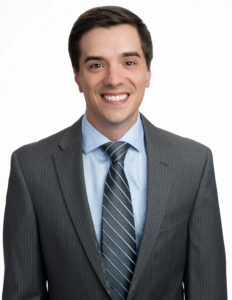 Dr. Luke Gibson is a highly skilled chiropractor in Morrisville dedicated to providing gentle and effective care to patients of all medical backgrounds. He believes that excellent health begins with education and prevention and has made it his mission to enlighten patients to ways they can take greater control over their own health. Dr. Luke Gibson is committed to continuing education and remaining aware of the latest advancements in health and chiropractic. Dr. Luke Gibson is a native of Ohio, where he received his B.S. at Kent State University in 2007. His concentration in molecular and cellular biology inspired him to learn more about the physiology, biomechanics, structure and function of the human body. In 2010 he received his Doctor of Chiropractic at Palmer College of Chiropractic in Florida. Dr. Gibson’s longtime passion for athletics, along with his professional training steered him towards treating athletes with various sports injuries. While attending Palmer he had a unique opportunity to treat the Embry-Riddle Aeronautical University track and field athletes, as well as their cross country athletes and coaches. Dr. Gibson is a licensed Chiropractic Physician in the State of North Carolina as well as board certified by the National Board of Chiropractic Examiners. He is a certified Graston Practitioner, which focuses on soft tissue injuries such as sprains and strains. Dr. Gibson is also a Certified Kinesio Taping Practitioner and utilizes it on patients to help assist in soft tissue injuries. His adjusting techniques include Gonstead, Diversified, Thompson, and Activator. 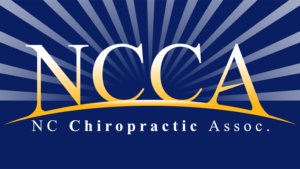 Dr. Gibson is an active member of the North Carolina Chiropractic Association as well as the Florida Chiropractic Association. He is also on the Professional Affairs Advisory Boards for Health Network Solutions. Dr. Gibson is also an active member of the Morrisville Chamber of Commerce as well as the Better Business Bureau of Eastern North Carolina. His future plans include completing the advanced training leading to the Certified Chiropractic Sports Physician designation. At RTP Chiropractic in Morrisville NC, we select only the best of the best to serve our patients and their families. All of our staff members are friendly, knowledgeable, and highly proficient in their office duties. Should you have any questions or concerns before, during or after a visit to our Morrisville chiropractor, do not hesitate to visit with one of our staff members. They are readily standing by to address your needs. 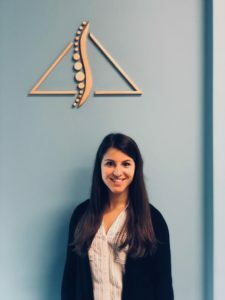 Emily Condo is a Clinical Chiropractic Assistant and Front Desk Receptionist here at RTP Chiropractic. She began working as a part-time employee in January 2018 and transitioned into a full-time employee at the end of May. Emily is originally from East Greenbush, NY where she received her Associates degree in Business Administration from Hudson Valley Community College. She went to school for Nursing but then switched paths to Business in her sophomore year. Emily recently got her certification as a Clinical Chiropractic Assistant and plans on continuing her education. Emily relocated to the triangle area in May of 2017 to begin a family with her fiancé and their furry four-legged child, Lexi. Emily is an avid animal lover volunteering in her spare time for the local SPCA animal shelter by providing the animals with food and toys.